Ever since J.J. Abrams was announced as the director for Star Wars: Episode VII, there were rumors that he would not return to helm Star Trek 3. After the release of Star Trek Into Darkness, Abrams stated that he would, indeed, not direct the third film of the Star Trek reboot film series, but would stay on the project as one of its producers. One of the directors believed to be a front-runner for the Star Trek 3 directing job was British filmmaker Joe Cornish. Now it appears that Cornish won’t be the guy after all. According to Variety, the 44-year-old Attack the Block director took himself out of the running for Star Trek 3. While it’s unclear why Cornish dropped out, it’s speculated that he couldn’t come to an agreement with Paramount Pictures and Bad Robot Productions for the film. Paramount Pictures and Bad Robot Productions are looking for a new director for Star Trek 3 to fill the void after J.J. Abrams jumped ship for Star Wars: Episode VII. The third installment in the rebooted Trek series recently welcomed two new writers and booted out two others out the door. It comes to no surprise that Roberto Orci will continue with the franchise, but in a shocking move, he will not be working with his long-time collaborator and writing partner Alex Kurtzman. According to THR, Star Trek 3 has added J.D. Payne and Patrick McKay to work with Orci on the script. 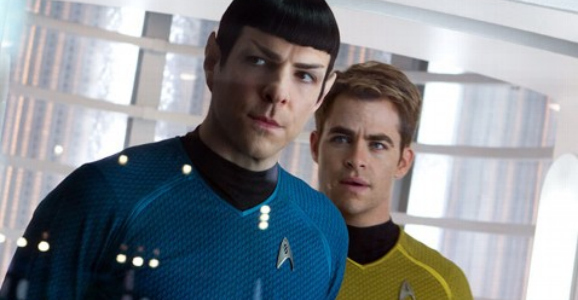 Payne and McKay replace Kurtzman and Damon Lindelof, who worked on Star Trek Into Darkness. No doubt many fans will consider it good news to have some new blood. Paramount is aiming for a 2016 release date for Star Trek 3. For months there have been rumors that Paramount wants to release the new film to coincide with the 50th anniversary of the original Star Trek TV series, released in 1966. 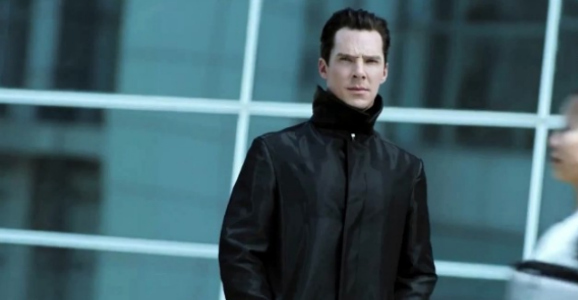 A few days ago, J.J. Abrams admitted that keeping the identity of the Star Trek Into Darkness villain a mystery was a big mistake. While the secret didn’t really add anything to the movie’s story, it also didn’t help that audiences weren’t intrigued enough to go to the movie theater to find out for themselves. Into Darkness was one of the biggest hit films of the summer movie-going season, but it wasn’t as big as Paramount Pictures or Bad Robot Production would’ve expected from a sequel film to the widely popular Star Trek reboot from 2009. Now the man who played the Into Darkness villain speaks out. Star Trek doesn’t delve into religion that often, unless it’s some weird alien kind or it involves some pissed-off god who makes the Enterprise crew wear togas and sacrifice lemurs to him because he’s lonely and the Earthlings never call or write or pray anymore. But we do at least know that Christmas is still a thing in the twenty-whateverth century, thanks to that time in Generations when Picard flashed back to a happy holiday of yore. Well, Picard and the crew of the TNG-era Enterprise are clearly feeling the spirit of the season, and that means it’s time to sing! Here we are nearing the end of 2013 — which would have boggled the mind of my eight-year-old self, at least until he noticed there were no readily available flying cars and went off to sulk. We’ve just celebrated a holiday that’s ostensibly about family and thankfulness, but that’s usually overshadowed by Black Friday’s annual exploration of the worst impulses humanity has to offer. 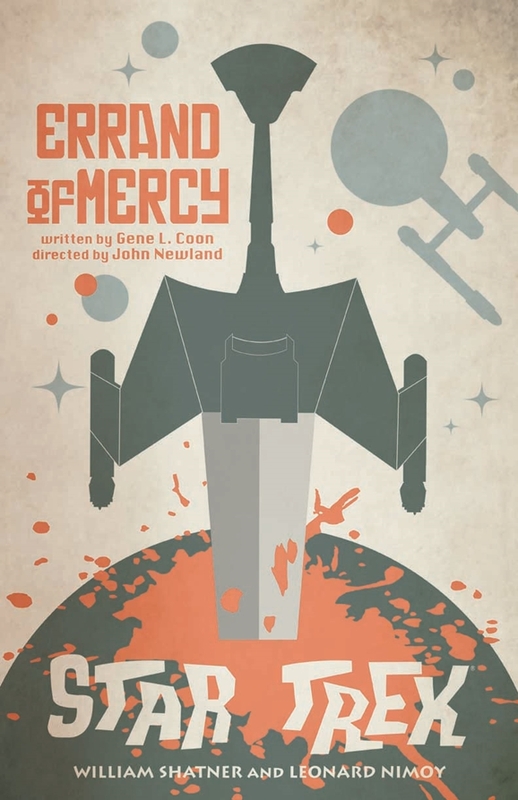 As you’re rushing about, trying to find the perfect gifts for that special someone, we here at GFR invite you to sit back, put your feet on the table, and relax for a few minutes while you drink in the awesome that is this latest batch of artist Juan Ortiz’s excellent Star Trek retro poster prints. Last year Ortiz set a mammoth task before himself: creating a retro-style poster print for every single one of Star Trek: The Original Series’ episodes. (He even found time to whip up one for each of the Animated Series episodes.) It’s been a long trip, but Ortiz’ handiwork just keeps coming, and his designs are consistently creative and well-imagined, spanning a wide array of styles and concepts. We kind of love ‘em here at GFR. Now the latest batch has gone up and you can check out all four here, along with Ortiz’s commentary from StarTrek.com. Check it out below, and we’ll have info about where you can order copies of the prints at the bottom. Home decor is something that is highly important to a lot of folks, even those who spend so much time decorating that they never actually have people over to visit and look at their handiwork. But anybody with their own personal home theater is definitely going to have company on a regular basis, and it only makes sense to make it look as good as possible. 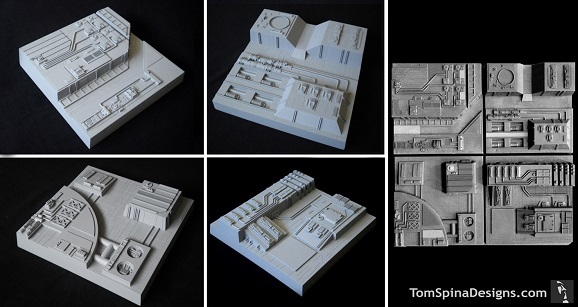 Tom Spina Designs did just that, creating wall designs based on the look of the Death Star trench run from Star Wars, and they look freakin’ awesome. Since no theater is complete without a bathroom, we also have some sweet Star Trek decorations to accompany your tinkling and tooting. For their unnamed client, the design company created “14 master tile sculptures, each 12″x12″ with a depth of 3″-4″,” and a total of 120 tiles were applied to the theater’s walls. Instead of just illustrations of all the details, they made them all stick out 3D style, recognizable from far away but really awesome once you get close and see the details they added.